The event was attended by his cabinet colleagues Girish Mahajan, Pankaja Munde, former BJP MLC Pasha Patel, BJP MLC Vinayak Mete, BJP Lok Sabha MP Dr Pritam Munde and others. 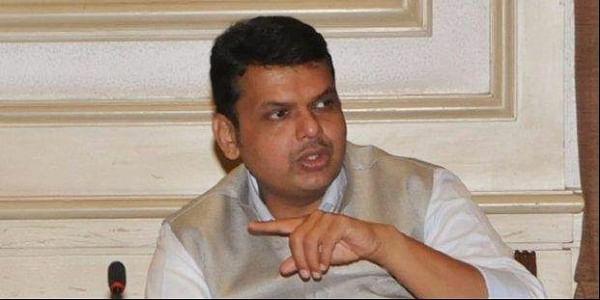 MUMBAI: A cup of tea by Chief Minister Devendra Fadnavis with Nationalist Congress Party (NCP) legislator from Beed, Jaydatt Sonajrao Kshirsagar, at the latter's Beed residence has raised political temperatures ahead of the December 11 winter session of Maharashtra legislature. Kshirsagar has downplayed the incident and blamed the media for drawing unnecessary inferences out of a personal visit. He was minister for Public Works (state PSUs) in the previous Congress-NCP led government. The visit however raised the hackles of state NCP president Sunil Tatkare who said, "It is well within the rights of the Chief Minister as to whose house he should visit or not. However, in the last 10 months, 161 farmers have committed suicide in Beed district. Had the chief minister visited the homes of any of the families of those farmers it would have been much better." Fadnavis was on a day-long official tour of Beed district, where he attended the Golden Jubilee celebrations of district's oldest Marathi daily "Zunzar Neta". An NCP leader, requesting anonymity, said Kshirsagar has of late been sulking against the party ever since his nephew Sandip Kshirsagar was entrusted with the reins of the party in Beed district. In the recent zilla parishad and panchayat samiti elections, the uncle-nephew duo had clashed, with nephew Sandip Kshirsagar lodging a complaint against his uncle Jaydatt Kshirsagar. Sandip Kshirsagar, who had fielded candidates for the zilla parishad elections under the banner of "Kaku-Nana Vikas Aghadi", had alleged that his uncle had threatened one of his Aghadi candidates. Jaydatt Kshirsagar had denied the allegations. The developments come at a time when another NCP local leader and leader of opposition in legislative council Dhananjay Munde was busy launching the party's "Halla Bol Andolan" at Yavatmal in protest against the government's anti-farmers policies.